Fancy a posh casual eatery with Mediterranean beachside vibes? The team behind Neon Pigeon, Fat Prince and The Ottoman Room have dreamt up a new concept, Summerlong, at The Quayside at Robertson Quay. 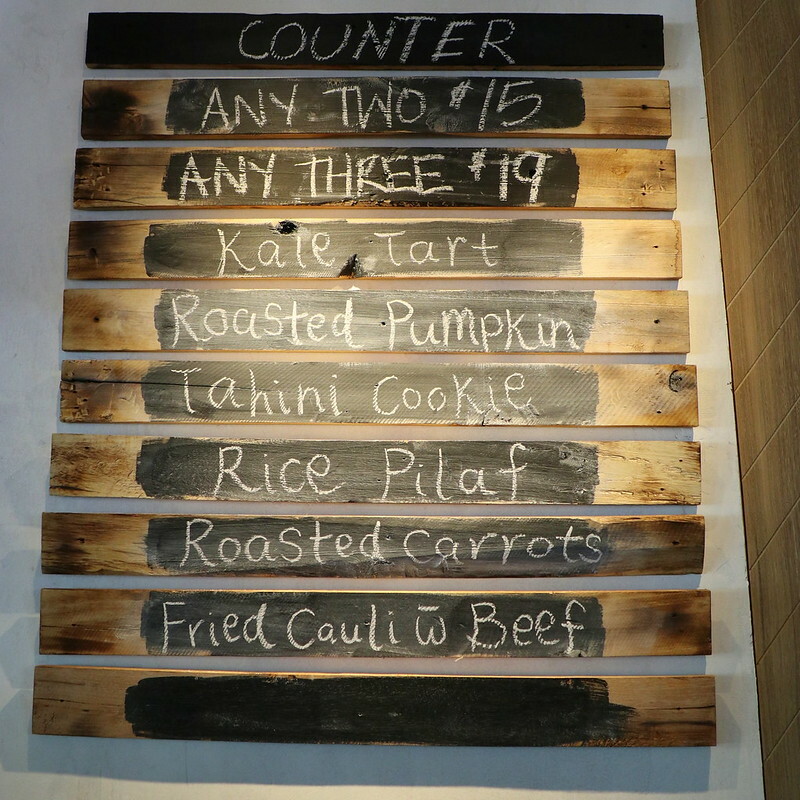 The open kitchen, helmed by Chef Justin Hammond (of Neon Pigeon), serves up a mix of snacks, dips, grilled items and shared dishes to nibble on, which are meant for communal enjoyment with family and friends. Summerlong does embody the bright and breezy beachside style that is reminiscent of summer seaside vacations. While there is no beach in sight, the riverside location does help lend a relaxing feel to the white-washed space. 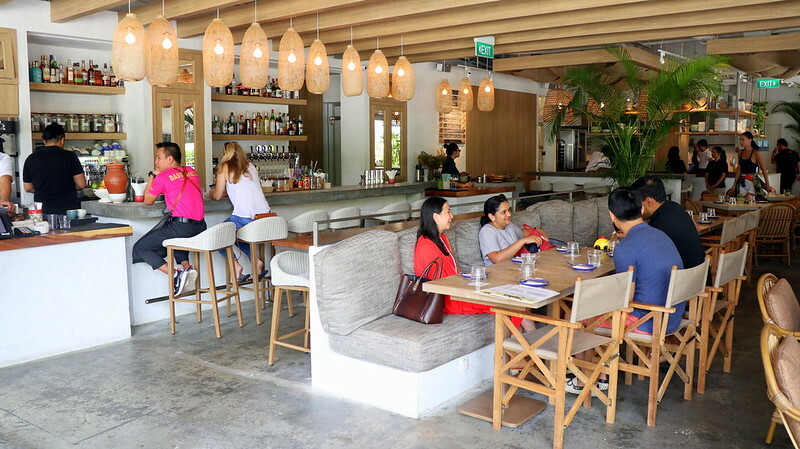 This "city beach" cafe and bar does aim to offer fresh and healthy food and drinks inspired by the Eastern Mediterranean. Brunch here seems to echo that theme. My favourite part was the side counter with dishes that are almost as good as mains. 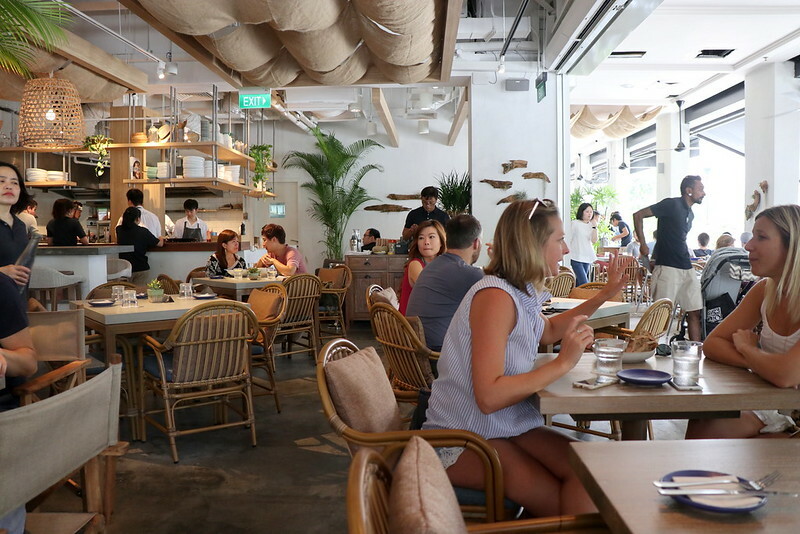 Brunch at @summerlongsg comes with a nice side buffet option (any two dishes for $15; three for $19). 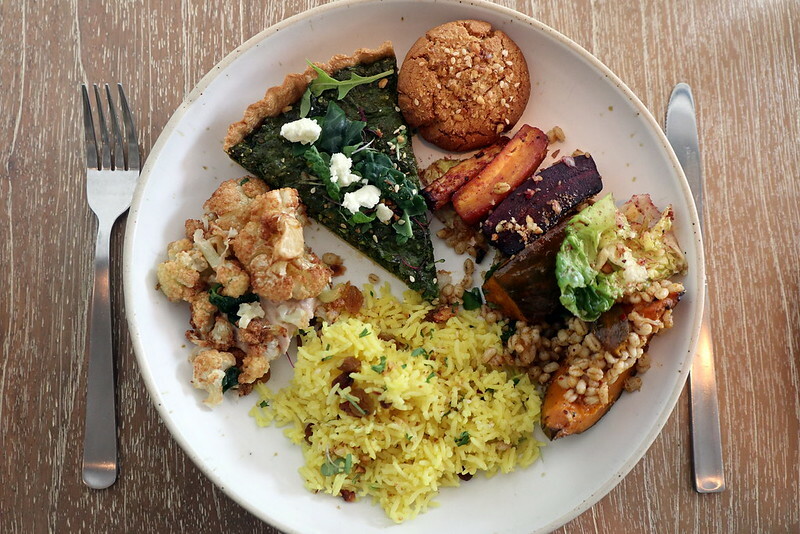 Dishes include Cauliflower with Beef, Roasted Carrots, Kale Tart, Roasted Pumpkin, Rice Pilaf and Tahini Cookies. These are mainly vegetarian, to cater to as wide a group as possible. The chef was kind enough to let me try a little bit of everything. 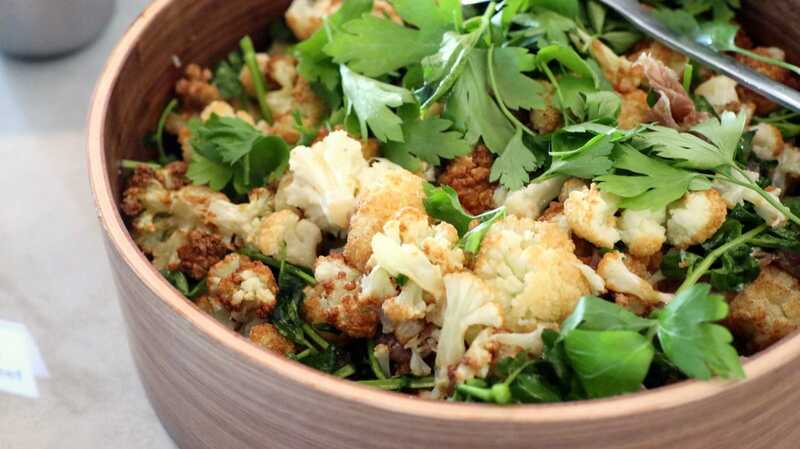 My favourite is the Cauliflower and Beef (first photo). Nadine liked the Roasted Pumpkin. The Kale Tart was well-made too. Only the roasted carrots were a little tough. From the a la carte menu, there is a nice variety of starters, mains, snacks, side salads, more side dishes and desserts. 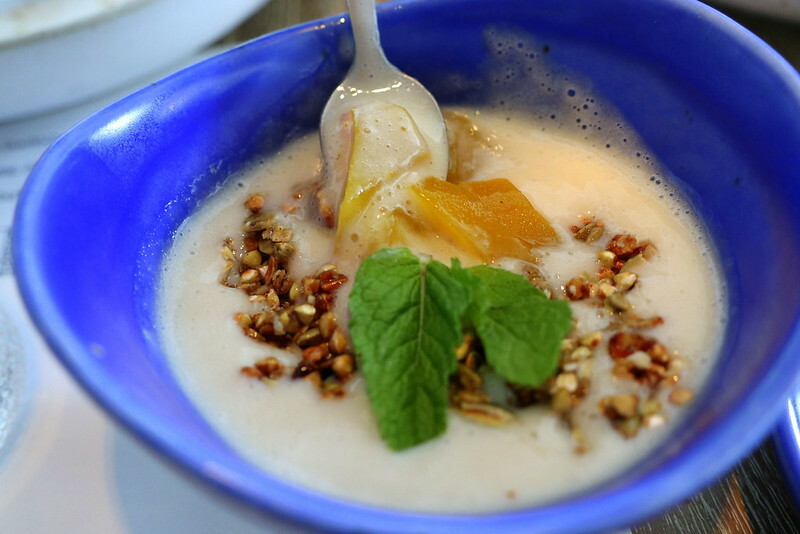 The almond yoghurt turned out quite differently from what we expected. It was light-bodied and tremendously sweet without any yoghurt-like tang. There wasn't much granola or buckwheat, so it didn't feel substantial. It really feels more like a dessert, like melted ice cream. This is a palm-sized portion (that's a teaspoon in there for size comparison), which for S$15 is really small. But it's meant as a starter. I liked this much better. 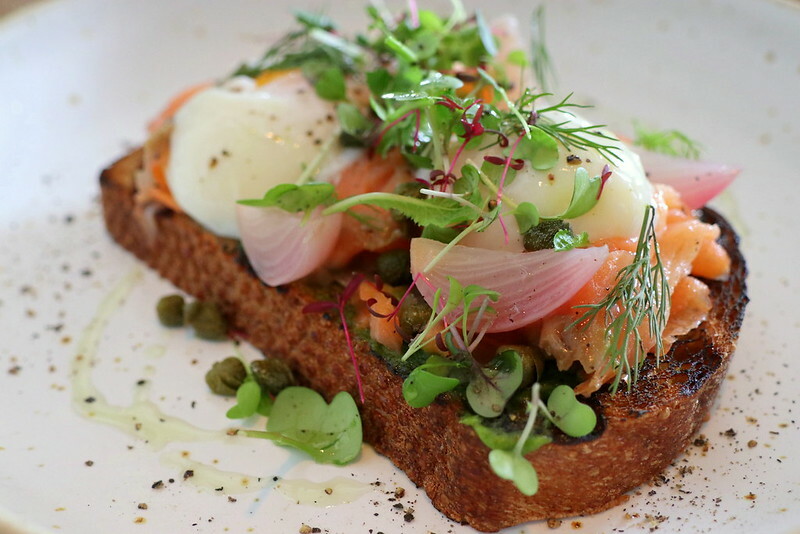 It's a fool-proof ensemble of salmon, capers, pickles on rye with runny eggs pulling it all together. But it's not really big enough to share. I hear the Blueberry Pancakes, served with lemon butterscotch maple syrup and marscapone ($18), are highly recommended but our order never came. It was fine; we were already full from the dishes we had. Savoury items include the Falafel Scotch Egg, avocado, preserved lemon, cardamom ($22) and the signature Persian Fried Chicken & Egg, sweet potato corn hash, herbs (S$22). Or you could splash out for the Turkish Breakfast - labneh, olives, mushrooms, beans, sausage, tomato, cucumber, salad, tangerine, sour cherry jam, bread (S$32). I totally missed the Soft Serve Ice Cream (S$4) counter, where kids and adults alike can load up on the good stuff with a myriad of toppings ranging from chocolate to candy to fruit (S$1 per topping). The Summerlong menu also has pitchers for sharing such as the Summerlong Spritz, a riff on the classic Aperol spritz, made with Aperol, Cava, grapefruit and soda ($50). It comes in a jug which is probably good for three glasses. I only took one glass. It's really easy to drink, and not too heavy on the alcohol. The group’s Bar Manager, Symphony Loo, is behind their creative cocktails program. For a light afternoon tipple, the Medius Terra Fizz made with rosehip gin, lemongrass, ginger, soda ($15) makes for easy drinking in the tropics. A hardier libation with the vacation beach vibe is the 3 Continents, made with three rums, pineapple and passionfruit, served in a coconut shell (S$21). For a frozen option, the Greek Elixir uses ouzo, lime and herbs (S$19). Summerlong's wine list consists of hand-picked selections from Mediterranean vineyards including France, Italy, Spain and Turkey. Beer and cider is available on tap as well as by the bottle. For craft beer lovers, Desecutes “Fresh Squeeze” IPA (S$14) is on tap, and for a lighter beer option, there is a Greek lager, Mythos (S$14) served by the bottle and by the Bucket (S$55 for six). The guys from “A Stimulant by SARNIES” are behind the coffee and serve the traditional favourites, plus some new introductions like Bullet Proof Coffee (S$6) for those looking for a serious caffeine kick. Summerlong was packed when we visited; it looks like the place is popular with well-heeled expats, young couples and tourists. Service was friendly enough, and the bright, well-decorated, open-air space certainly has its charm. Many thanks to Summerlong for the invitation.